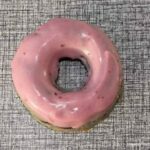 A scrumptious low carb blueberry cake donut recipe that uses gluten free almond and coconut flours. 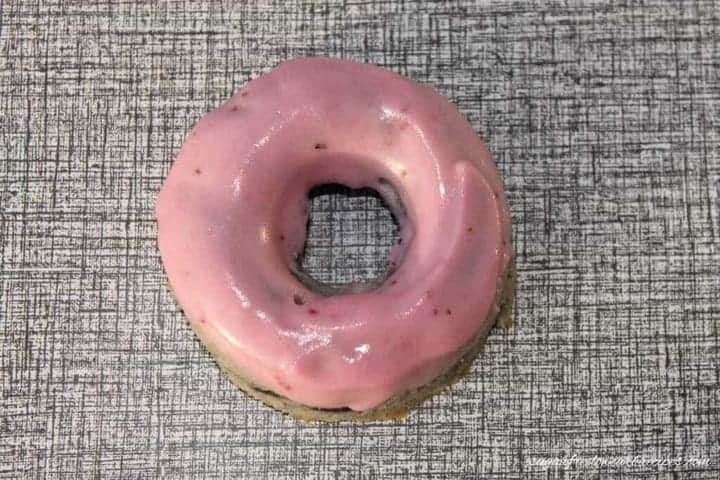 The low carb donuts can be baked using fresh or frozen berries. This post may seem a bit out of season since blueberries are a midsummer fruit. But we always have frozen blueberries in our freezer due to the large number berries we pick each summer. I’m always on the lookout for new blueberry recipes to try. 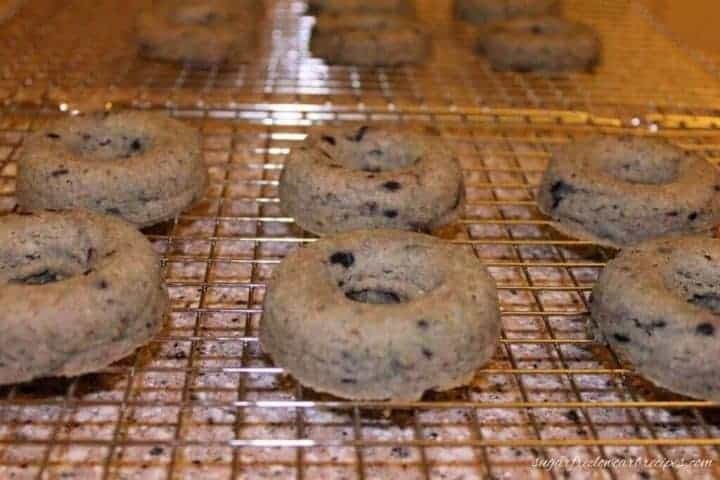 Recently, I’ve been looking for a recipe for blueberry cake donuts. 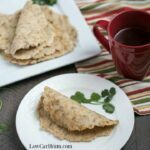 And, I was curious as to how they would turn out using low carb ingredients. My first attempt for the blueberry cake donut recipe was done using all coconut flour. The texture was good, but I wanted to tone down the coconut flour so I tried again with some almond flour added. The taste was better. I recently purchased a couple silicone donut mold pans that make medium sized baked donuts. I actually bought two different brands, one made by Freshware and another made by Silikomart. The Silikomart one cost a little bit more and it does appear to be made of a higher quality silicone. However, there is really no difference in performance. I decided to try the silicone donut pans for this blueberry cake donut recipe. The reason is that I have to use a lot of grease to ensure an easy release with my old metal non-stick donut pan. There’s really no need to spray or grease the silicone pans. 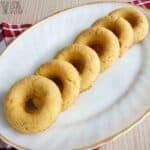 I was also looking to get more donuts by using smaller donut molds. With my old donut pan I was getting about 9 large size donuts for each recipe. 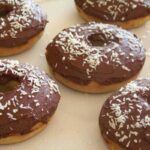 With the smaller medium size donut molds, I get a dozen donuts per batch. I really like the smaller size and the fact that I’m getting a full dozen. Not having to grease the pan is a big plus with the silicone molds. 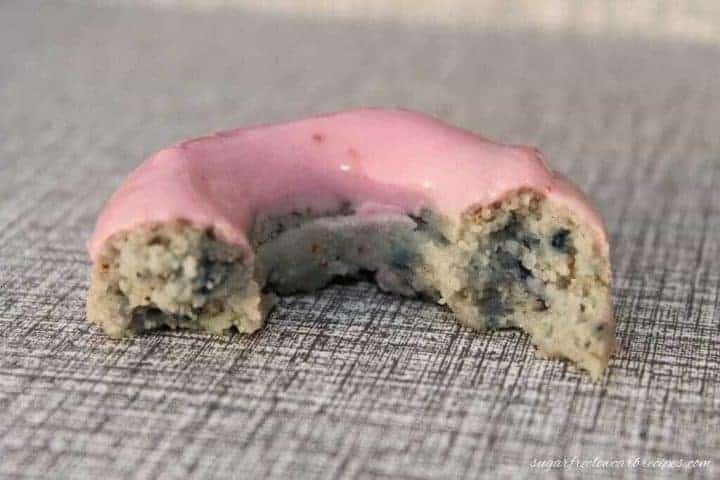 Using silicone for this low carb blueberry cake donut recipe, the donuts popped right out of the molds. The photo above shows how the they looked coming out of the pan. I forgot to add xanthan gum to the first batch of these blueberry low carb donuts. Shortly after baking, the donuts crumbled apart when touched. 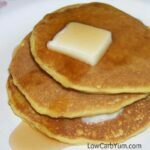 From my experience in low carb baking, I find that breads and cakes made with almond flour sometimes need xanthan gum to hold them together since there is no gluten. However, the donuts stayed together much better the next day. The donut shaped cakes were quite plain without the glaze. I only added a small amount of blueberry pulp for color. More blueberries could be used for a deeper purple. 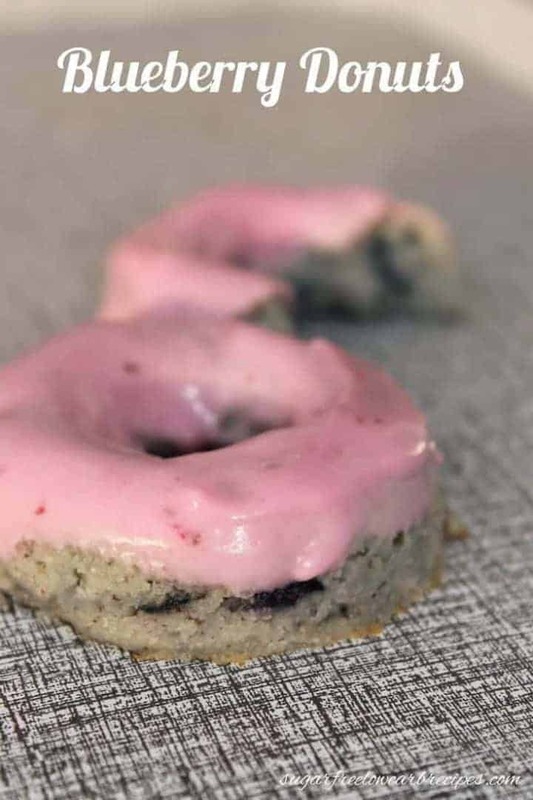 These scrumptious low carb blueberry cake donuts are made from gluten free almond and coconut flours. 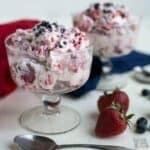 They can be baked using fresh or frozen berries. Mix together almond flour, coconut flour, baking powder, xanthan gum, salt, nutmeg and erythritol in large bowl. Blend in the butter until coarse crumbs. Place blueberries in a small microwaveable bowl and microwave about 30 seconds or until they pop. Stir in the stevia, almond milk, and egg. Add this to the flour mixture and mix just until combined. Place the batter in a plastic bag with corner snipped off or a pastry bag. 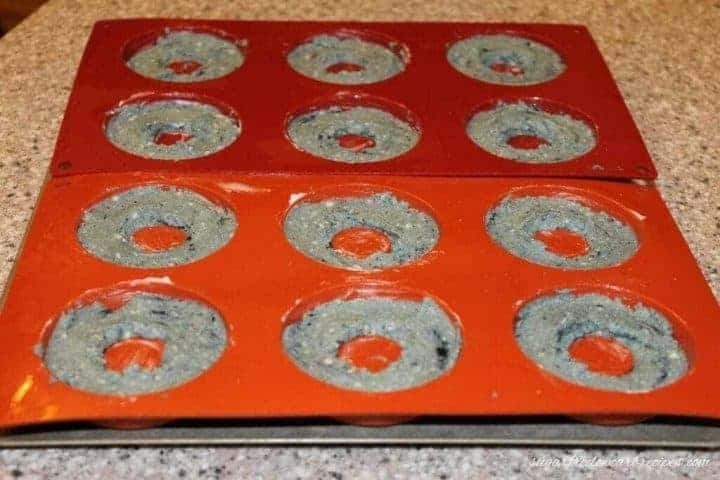 Pipe batter into well greased donut pan molds (or use silicone molds for easy release). Bake at 350 °F for 10-12 minutes. Cool donuts on a wire rack for 10 minutes, then remove from pan onto cooling racks. For glaze, add lemon juice to powdered sweetener until desired consistency is reached. To add color, microwave blueberries and add to glaze. Dip donut tops into glaze and let sit to dry. Coconut flour can vary in absorbency. It's best to start with half and add more if needed. If the batter is too thick, more almond milk can be added. As with several others, batter much too thick but decided to follow recipe exactly. Shame to waste my ingredients on less than expected outcome. Possibly includes notes in the recipe about this going forward so we have some guidance on reducing coconut flour or adding more milk. Thanks for the feedback. Notes added. I am now on my thrid try at these donuts. The mix is coming out to dry and cracks so I am adding more almond milk. Maybe a quarter cup more. I found the donuts are better the next day. An extra egg can help too. Stevia makes me nauseas, can I substitute it with something else? Monk fruit is a good sub, but amount varies by brand and type. I know how much people hate comments that are not people who followed the recipe exactly. But this was what I had in the cupboard and I was about to cheat… I used strawberries instead of blueberries and vanilla creme stevia drops instead of original. I don’t have a donut pan so I made like mini donuts by putting the dough in a bag and making circles in my greased muffin tin. This made 16 mini donuts cooked for 10 min. The glaze I made exactly only with strawberries… Mistake. The strawberries don’t break done like I’m guessing blueberries do. So I just ended up fishing them out with a fork after spraying glaze all over my kitchen. I doubled my glaze like another post recommeded, but I am seconding the comment of the glaze is too thin. It just soaked into the donuts. Next time I will probably add another 2-4 tablespoon of Swerve. The flavor/tecture of these donuts though…. Mmmmmmm. 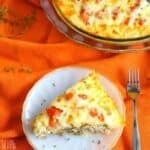 Thanks for sharing the modified recipe. Sounds really good. I just saw this post on IG and want to try it but I’m not a huge fan of blueberries…. do you think it would work just as well with diced strawberries? It should and the carb count is less with strawberries. I add the lemon juice in slowly to make sure the glaze doesn’t get too thin. It may not need the full 2 tablespoons. If you end up adding too much, you’ll need to add in more powdered sweetener to thicken it up. Glad they worked out for you Jasmine! I had my doubts. I thought the texture would be more sponge like. Boy, was I wrong. These are moist and taste just like the cake donuts you’d buy at the donut shop. They are so dang good! Thank you for posting. Hi! These taste so good. My recipe was too thick to pipe… had to press down in mold. They did not rise either. I went by your recipe directly. Must be something in the brands of flours. My son was dying for donuts. We will see how he likes them. Just pulled out of oven. YUM! it looks delicous…i need to know what other ingredient to sue instead of x antham gum…thks. You could try psyllium, chia seeds, or flax. Made these twice and loved them, once as mini cakes baked in ramekins with a little parchment circle on the bottom. But both times the batter was too stiff for a piping bag and I had to press it into the pans. Is this your experience too? Perhaps my brands of flours are too dense and need to be cut back some? They raised up just fine so I’m hesitant to add more liquid. My batter is thick too. The coconut flour absorbs a lot of moisture as it sits. You could potentially cut back on the coconut flour. I just tried your Blueberry Doughnuts….So So So SO delicious! 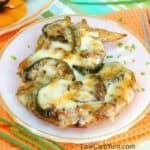 Thank you for your recipe, I’m one happy Low Carb/Keto type eater as it is nice to have a bite of something sweet on occasion! I’m so glad the donuts worked out for you. I find them even better the next day after a night in the fridge. 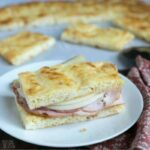 Could you tell me how many grams of sugar in this recipe and if it will raise my blood sugar level? Recipe has been updated. It’s about 1g sugar per donut. Love these, they are wonderful! 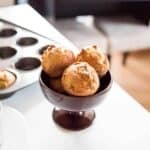 Have you ever prepared the dough and then stored it so you can bake just a couple fresh in the morning, and if so, what is the best way to store the dough. Thanks so much. You could refrigerate the dough and my guess it would be good for a week. Otherwise, you’d have to freeze it in a mold. You can use unsweetened coconut milk beverage or a mix of heavy cream and water (about half and half). These are amazing! Flavor and texture is so nice. I did add a few more blueberries. Even though I greased my muffin pan, I couldn’t get them out without breaking, but I think that means I actually eat more without knowing it. Yay! So good! That’s why I’m using a silicone baking pan now. I had trouble before with the regular pans and sticking. I can use fresh blueberries? Fresh blueberries work just as well. These are so yummy!!! My husband has decided that I need to make them all the time. I agree with your husband! I wish someone would bake these for me all the time! You are amazing! I just made these and to my surprise, my 13 yr old ate 2! He normally hates all my low carb/ sugar free foods I make. Is it really 112 grams of fat per serving? Good catch! That was total fat in the ENTIRE recipe, not per serving. Fixed! Only if you include erythritol which others omit. So, without erythritol, it’s only 5g. You’re welcome Stephanie. Glad you enjoyed them! Your donuts look so beautiful! Sadly, mine crumbled too; I was out of xanthan gum, so I used guar gum instead, and that may be the reason. I will try making this recipe again when I have had a chance to restock the xanthan gum. I would think that guar gum would work as good as xanthan gum, but not sure if they are one for one. 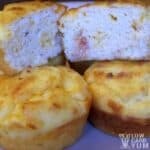 Thank you for these great recipes Lisa. I too have a problematic thyroid and tend to gain weight easily with eating the wrong foods. It doesn’t take much. So, following a low-carb diet and other restrictions is a must for my overall health. It doesn’t take away the occasional sugar craving and I still want to be able to enjoy certain foods without having any issues. The problem is alot of these ingredients are $$$. But, they seem delicious and once I can afford it, I will definitely try them out! Plz keep it up! I’m glad to share my recipes and experience Christine. I also wish the ingredients weren’t so expensive. As some of these sweeteners become more popular, I hope that the prices will come down. I just picked up a bag of Pyure Organic Stevia All-Purpose Sweetener at my local Super Walmart so I’m going to experiment with that. It’s an organic stevia and erythritol blend with no fillers that is twice as sweet as Swerve so the cost is much cheaper. Did it work? The sweetener from Walmart? The Pyure blend worked just as well.